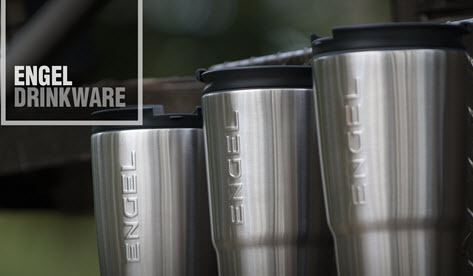 Everyone loves a good tumbler to keep their favorite drink nice and cold on a long trip or even out on the water, and that’s why we are a fan of Engel Coolers Tumbler and drinkware! 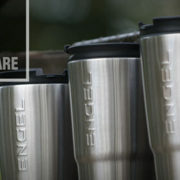 Engel Coolers Drinkware’s stainless steel, vacuum-insulated performance mugs are built to keep your cool in the harshest conditions. Taking advantage of the latest vacuum technology, these cups perform up to 6% better than any competitor on the market. 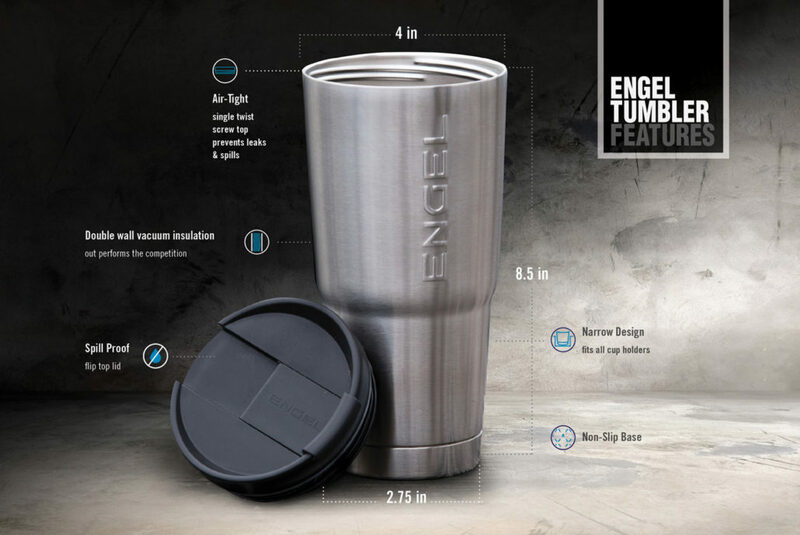 They also come in different sizes – 20oz, 22oz & 30oz TUMBLER.